Chemical peel is the use of chemical agents to improve your skin. At Elite Medical Aesthetics, there are medical grade chemical peels performed by Dr Ray to assure a customized peel to achieve the best. To know if chemical peels are suitable for you, Dr Ray recommends to schedule a consultation for determining what treatment is the best option for you. At Elite Medical Aesthetics, Rocklin, our treatments are goal oriented. Dr Ray would want to make sure you achieve your goals for any aesthetic treatment including chemical peels. 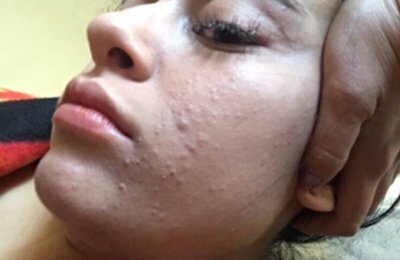 How Chemical Peels can help? Chemical peels have been used for over 100 years to create an even and controlled shedding of damaged skin cells. A chemical peel is applied to the skin to remove dead skin cells and stimulate the production of new skin cells. It tightens the skin, reduces wrinkling, and restores a more youthful appearance. to design rejuvenation and skin care programs for your specific complexion. This peel is a complete and technically advanced system for the skin that can improve years of environmental exposure and skin conditions, such as acne, rejuvenate skin, improve collagen and remove fine wrinkles. MicroPeel is a 3-step process that removes a micro-thin top layer of skin. Using either physical or enzymatic exfoliation, alpha hydroxy acid solution, and cryogenic therapy the skin is exfoliated and stimulated. These peels are safe and effective procedures that require little or no recovery. With each additional procedure, you will notice improvements of skin clarity, tone and texture. For maximum results we recommend a series of 4-6 treatments in 3-4 week intervals. The Skinceuticals Micropeel Plus outperforms other superficial peels by freeing the skin of all dead cells and stimulating cellular turnover. An application of salicylic acid in the form of microcrystals targets the exact area on the skin that needs improvement resulting in a softening of fine lines and discoloration, fading dark spots, and diminishing enlarged pores and acne. This procedure is considered to be a revolutionary skincare advancement with minimal downtime. Upon skin consultation, Doctor Ray will determine the type of the peel and the compounds to achieve the best. If you are seeking an effective medical chemical peel in Greater Sacramento, El Dorado hills, Granite Bay, Roseville, Rocklin area and skin peel specialist, then Dr. Ray, at Elite Medical Specialty Clinic, would like to offer you one suitable and effective skin peel treatments to you. Ready to learn more about the procedure and find out if you are a good candidate? Call 916 500-2474 to schedule a consultation with Dr Ray at Elite Medical Aesthetics, Rocklin or fill out the request for consultation form. To find out more about chemical peels, fill out the form and request a consultation with Dr Ray.